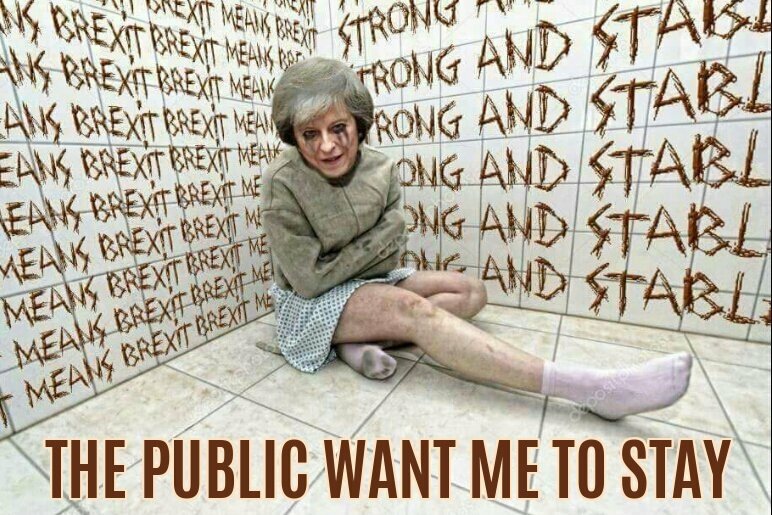 Deluded Theresa May says the public want her to stay. Oh really? At time of writing there have been 4,500 ReTweets, at least. 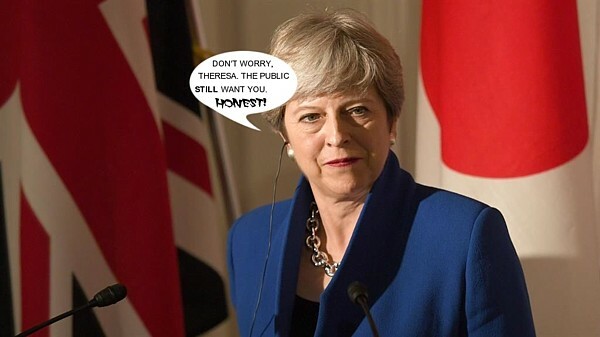 Theresa May has dismissed criticism of her vow to fight the next general election, insisting that voters want her to stay. But Tory critics said it would be difficult for her to continue after the election this year which saw her lose her majority. Former party chairman Grant Shapps told BBC Radio 4’s Today programme it was ‘too early’ for Mrs May to talk about going ‘on and on’. He added there was no appetite for a leadership election ‘right at this moment’. But he said it was ‘probably the case’ that the Tories did not want the prime minister to face Labour leader Jeremy Corbyn at the ballot box again. Ah – -I see that she is still living on that other planet then. For once, I agree with him!